This post was just so so beautiful! Isn’t it wonderful to feel loved and cared for and remembered by the Father? I loved this story! Thanks for sharing it and for choosing every day to believe by faith rather than by sight. It pleases Him. I love this and you have such a vivid way of writing. Thanks for sharing what God is teaching you! Now, I’m sure that after many people read this you will *never* lack in loofas again. So true!! I’ll probably be receiving them always! Samara, Thanks for sharing! I love this story that speaks so loudly of our Father’s heart for us. 🙂 Also, thanks for giving me one of your special luffas in my time of need. 😀 May God continue to bless you with the ability to express His love so simply and so profoundly. no problem! I’m happy to share the blessing! Now I know what those things are called! 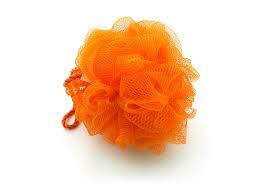 No offense, but I find loofahs annoying. One of my roommates has one hanging on the faucet of our bathtub and I don’t like having to maneuver around it when filling up my humidifier. But seriously, thanks for being honest about depression. A lot of Christians don’t share about that sort of thing and keep it hidden inside which is not healthy. I think you made the right decision to meet with Norma. no offense taken 🙂 loofahs are actually kind of gross if they don’t belong to you. And yes, talking about depression–this was the first time I did it in such an open forum, it felt kind of vulnerable, but at the same time it was a reminder of how far God has taken me from that place. Thanks for reading so faithfully!